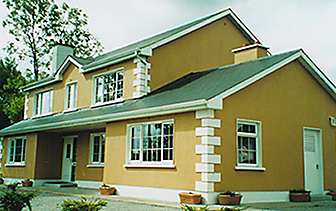 Whether your stay is to enjoy the abundant fishing at the numerous lakes and rivers in the area, or mix it with a tour of “Lovely Leitrim”, you can be assured of a relaxed, friendly, and homely atmosphere at The Laurels B&B. This welcoming modern home with ensuite bedrooms, TV, coffee making facilities, internet access, evening meals, packed lunch and outside patio with chairs and tables. Mohill is a small town – with good pubs – and central to several lakes renowned for tench and bream. Sean and Karen will ensure that you are in for a special treat. And in case you are feeling home sick – Just a couple of miles from The Laurels is Tooman Bait and Fishery with tidy banks and easy access. This is a small, quiet, family run day-ticket complex – a beautiful and mature four-lake complex producing tench, carp, bream, roach, perch and hybrids. You can order and collect maggots, casters and worms direct from the bait farm. Tench are a big feature around Mohill and in County Leitrim generally. 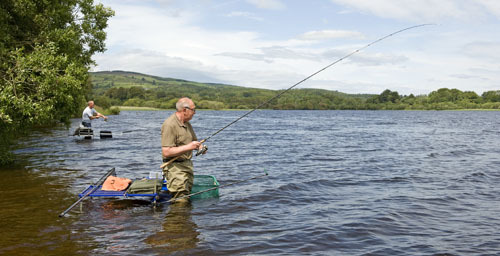 Lough Rinn is very popular and Cloonfinnan where you can expect tench, bream, large roach and pike over 20lb. But perhaps more important, Mohill is central to Ballinamore and Carrick-on-Shannon just 10 miles away.